If you read my posts about the December and January Loose Button Luxeboxes you’ll know all about the different kinds of beauty subscription services that are all the rage here in North America. 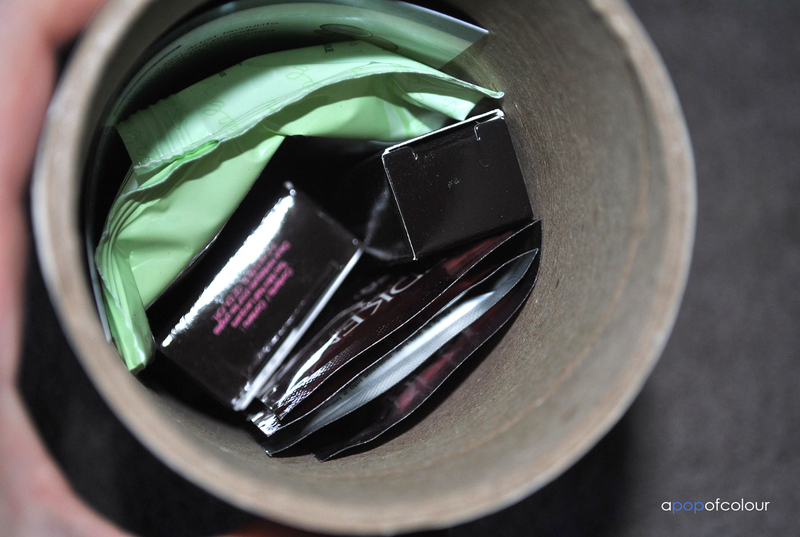 Basically, you pay a certain amount of money a month (usually it’s a small amount like $10 or so) and every month you get a box of deluxe and full-size beauty samples. It’s a total surprise until you open the box, so you won’t know what you are getting. 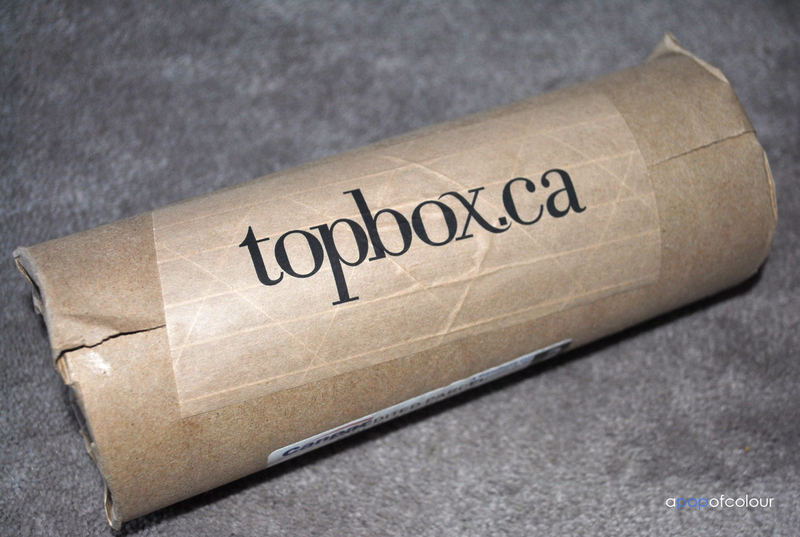 Way back in November I came across Topbox, which is a Canadian beauty subscription service that provides only the top brands. I was blown away by the inaugural November box that I signed up right away. The boxes were actually sold out at the time until March so I had a few months before I got a box of my own. 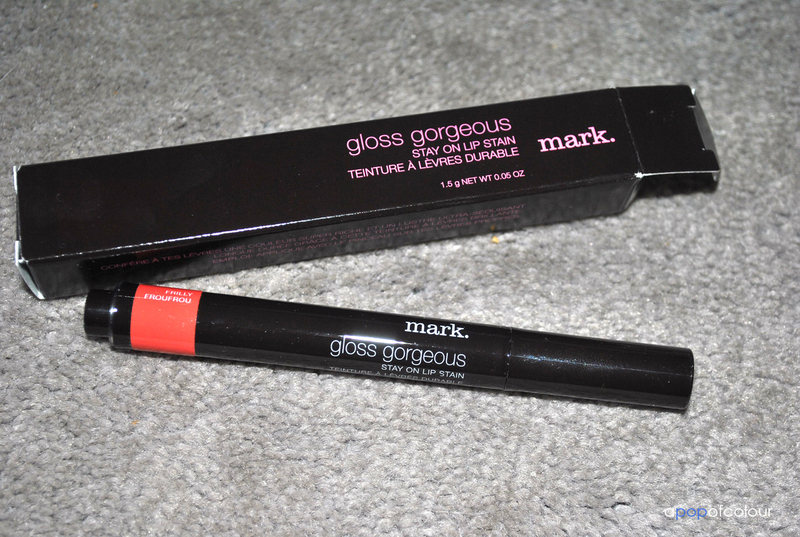 I got my first Topbox on Monday and already actually knew what I was getting (I came across an open bomarkx video on YouTube – I couldn’t resist a peek!). 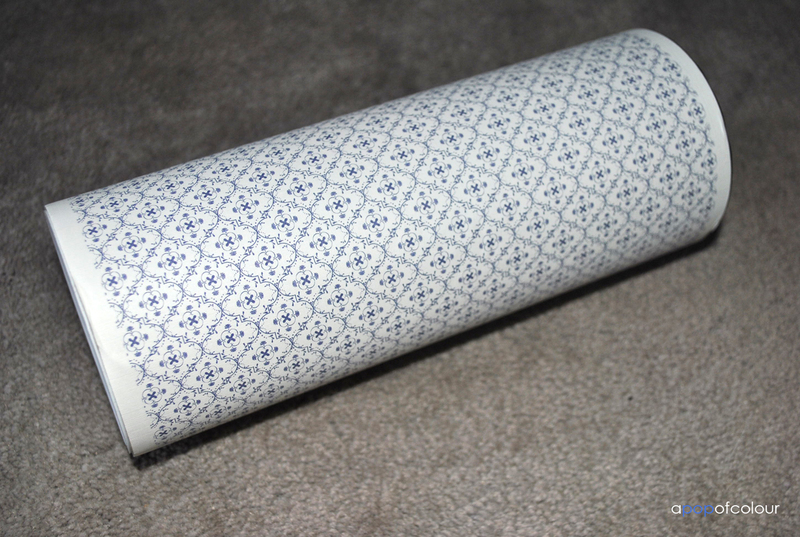 The box is actually a tube canister that you open at the top. I think I actually prefer a box over the tube as I’m not quite sure what I will do with these from now on. 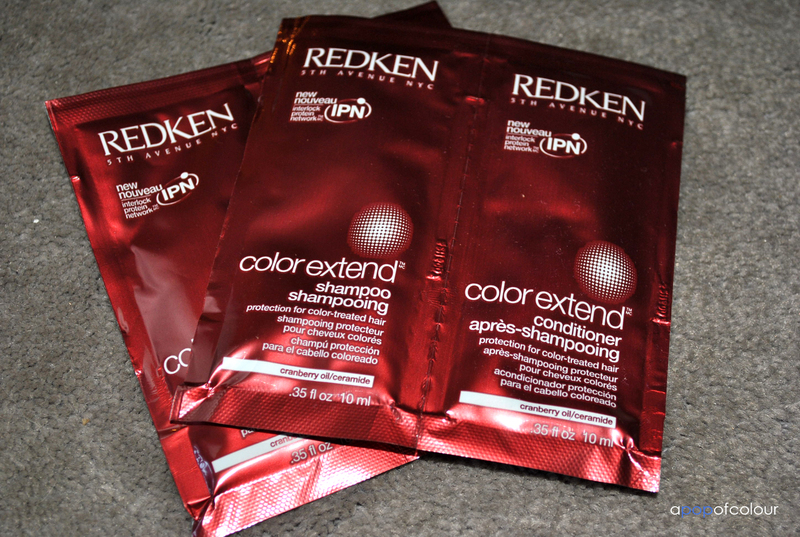 Redken Color Extend Shampoo and Conditioner samples (set of two). Simple Facial Wipes. Full size for 25 wipes $10.99. Sample included seven wipes. I had read reviews online and other people got either a sample of the Make Up For Ever mascara or makeup remover instead of the Cargo eyeshadow. I don’t really need any more mascara samples or makeup removers (plus the box already came with makeup removing wipes) so I’m glad I got the eyeshadow. 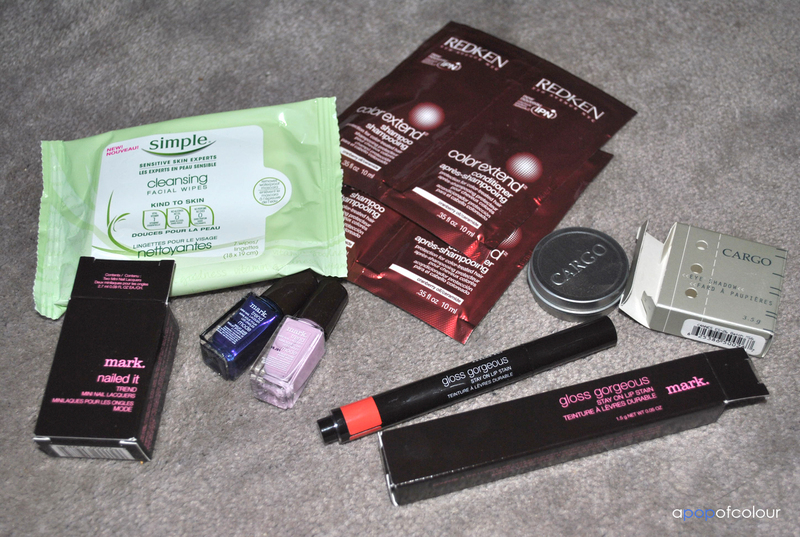 I really liked the March 2012 Topbox and although the products I got I wouldn’t necessarily buy in stores I’m glad I got to try them out. 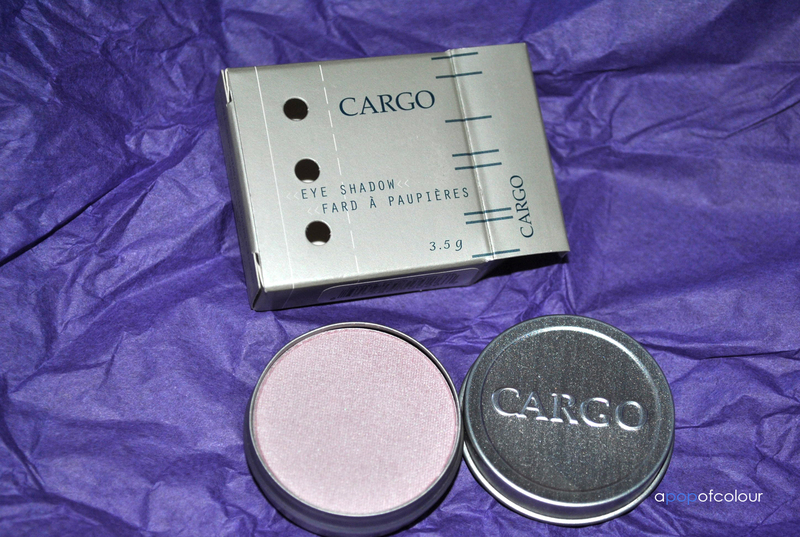 I really like the pale lavender pink Cargo eyeshadow (applies really nice) and the nail polishes. The lip stain was okay, it’s not really a colour I would have picked out for myself, but with that being said, I don’t really have a colour like that in my collection. The shampoo and conditioner samples were mediocre, I have so many of those at home already that it’s not really a memorable product or anything. I did, however, really enjoy the makeup wipes as those are always needed. So would I recommend Topbox? Based on my first box, yes! For only C$10 a month (I believe it’s like $11.60 or so with taxes) you definitely get your money’s worth, plus you pay on a month-to-month basis so you can cancel at any time. In this box alone I got my money back and then some (the approx. retail price of my box was around $42). If you are interested in signing up, make sure you get on their wait list as they are currently all sold out at the moment, however, they will probably be letting people sign up again soon. So how would I compare this box to the Loose Button one? I actually really loved all the products I got in both my December and January Luxeboxes, however, I find that with the Loose Button one every box seems to be different, whereas Topbox seems to be more consistent in what people get in their boxes, as in the products all seem to be the same. I got really great brands in both my Luxeboxs, but I know that based on other people’s reviews, some boxes contained drug store products, which is still nice, but maybe not worth the $12 you pay for it a month. With Luxebox, I find that it’s more of the luck of the draw. They still offer a good box though, don’t get me wrong. 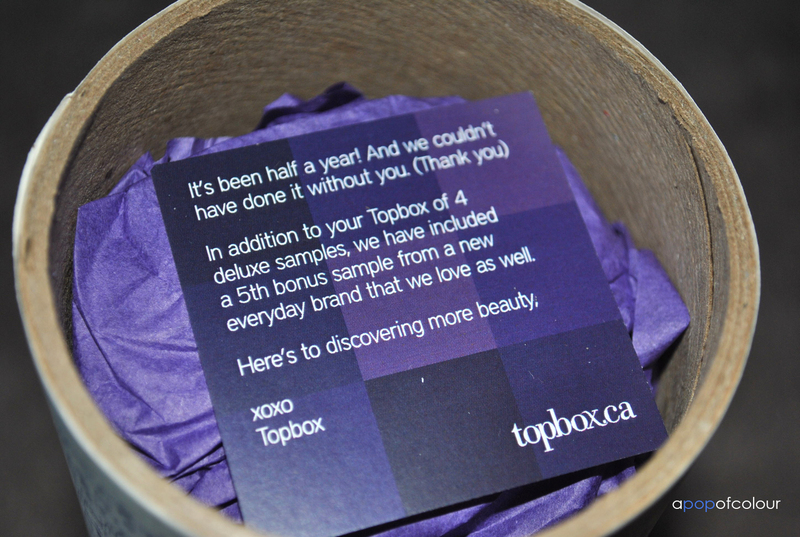 Did you receive the March 2012 Topbox? If so, what were your thoughts? Ah! I love the things that came in that. The tube shape is kinda weird though. Ah, how I wish we had this and the luxe box in the US.